Meghan Markle visited the last of her four new patronages Thursday as she charts her charitable work as a member of the royal family. 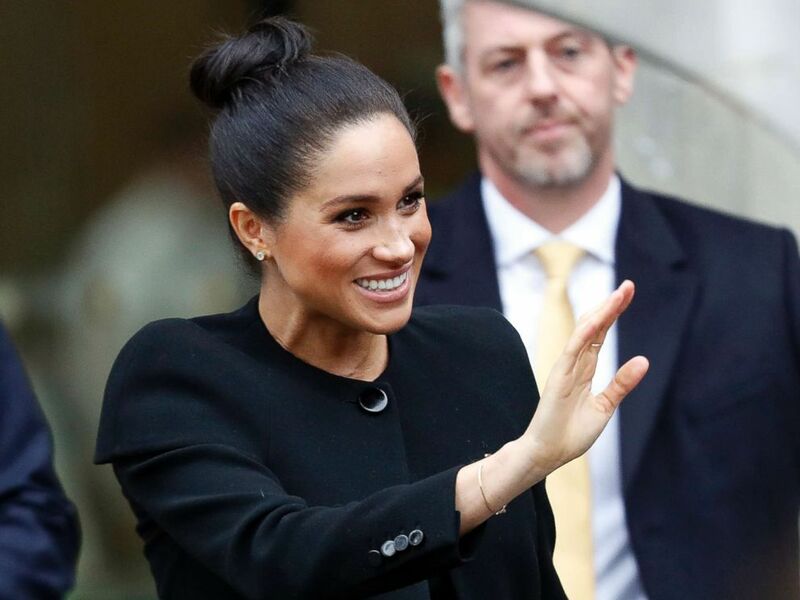 The Duchess of Sussex, 37, met with college students from the Association of Commonwealth Universities network while debuting a new look: a top knot. Meghan, who famously donned a messy bun at her wedding, wore her hair pulled back in a sleek bun on the top of her head. Meghan, Duchess of Cambridge waves after attending an engagement with the Association of Commonwealth Universities at City, University of London on Jan. 31, 2019 in London. The bun showed off Meghan’s stud earrings and all-black outfit, highlighted by a long black goat reported to be Givenchy, her wedding dress designer. Meghan, Duchess of Sussex visits the Association of Commonwealth Universities in her new role as Patron to meet with students and academics from across the ACUs network, at the University of London on Jan. 31, 2019. 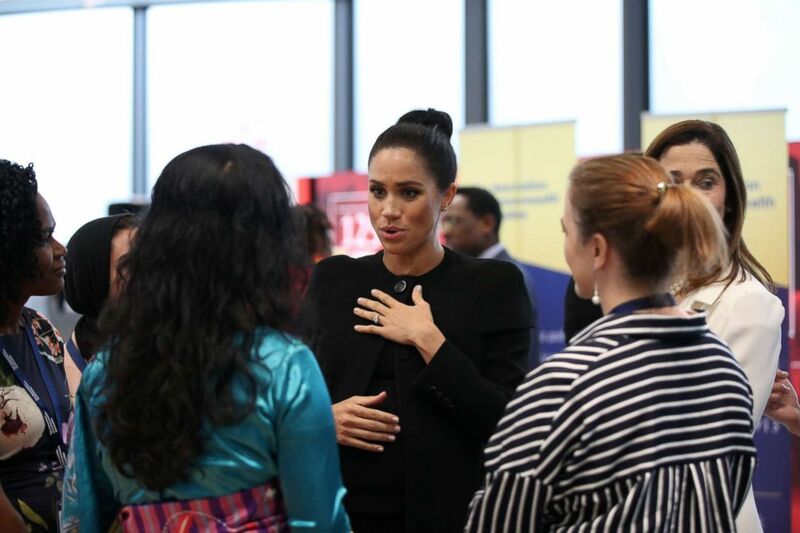 The Duchess of Sussex speaks to students during a visit to the Association of Commonwealth Universities at the City, University of London, Jan. 31, 2019. Meghan, who is pregnant with her first child, takes over the role of patron of the Association of Commonwealth Universities from Queen Elizabeth II. She met with professors and students Thursday at City, University of London. Meghan, an alum of Northwestern University, began her work with the association even before her patronage was announced earlier this month. 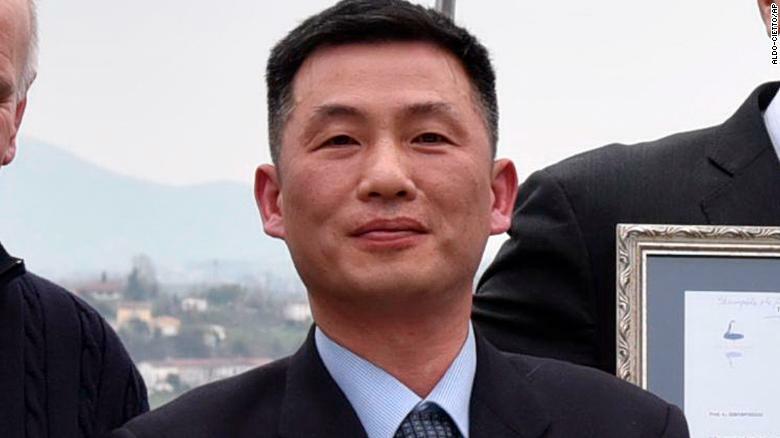 She met in December with university leaders, professors and students to discuss how higher education can help human trafficking, modern slavery, gender equality and climate change, according to Kensington Palace. While on an official tour of Down Under in October with Prince Harry, Meghan announced two grants to help support access to higher education for women in rural Fiji and touted the importance of equal access to education for women. Meghan is also patron of the National Theatre, SmartWorks, a charity that provides coaching services for unemployed women, and Mayhew, an animal charity.